Comment: Is telematics the route to cheaper insurance? All drivers know how expensive it can be run a car, with insurance probably causing you to dig the deepest into your pockets on an annual basis. But, there is hope - in the form of a little black box. When you're searching for the cheapest policy, insurers will call them telematic boxes, but we'll stick with 'black box' to make life simple. Although it doesn't really matter what they're called; the big question is: do they really save you money? Well, we spoke to 19-year-old, Millie Clark, to find this out. But firstly, to understand if these boxes work, we need to know how they work and what they do. 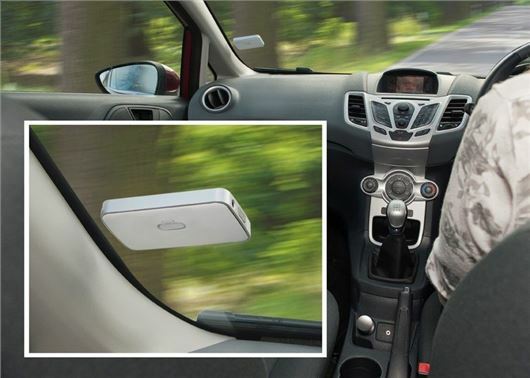 "It is a discreet box fitted into someone’s car which is able to record data such as your speed, what kind of roads you drive on and the harshness of your braking and accelerating. This data can then be used to evaluate how sensible a driver one is and this can therefore determine how expensive your insurance is," Millie explained. Okay, so a black box is there is register how sensible a driver you are, but is this really the case? Apparently so: "I do drive better than I might without it. "For example I know I would be liable to drive faster than I should if I were running late without a black box." So, Millie's not able to be the thrill-seeker she wants to be on the road, but that's not a bad thing, according to her mum, Samantha, who sees the consequences of living in the fast lane every day. Samantha leads Speed Awareness courses and has not only seen the benefits that a telematic box has had on her own daughter's driving, but also on other people's. Samantha feels "the black box makes new drivers much more conscious of their driving and what they are doing. "In my opinion it is one of the reasons we get very few new drivers on the Speed Awareness Course. Six points on the licence in the first two years results in going back to learner status. Hopefully, using a black box for the first two years of driving would help to create good driving habits." As well as putting both the minds of young drivers, who the boxes are primarily aimed at, and their parents at ease, they also have practical benefits. Millie found that some of these include being rewarded with ‘bonus miles’ and if that isn’t incentive enough, you know that if you drive well all year, your insurance could be considerablyy cheaper the following policy year, which Millie knows can happen. "My insurance cost a third of my average quote and I have earned 85 bonus miles," in her first three months with the box. Nonetheless, like with anything, there is a small catch with these boxes to ensure that the driver is as safe as they can be. "The insurance company asks you not to drive between the hours of 5pm-6pm and 11pm-4am which isn’t always easy to stick to. However, there is no punishment if you do break these guidelines, just a reduced reward. So there are not many ‘restrictions’ as such. "It bothers me that I have to watch what time I drive, and plan my journeys as in advance as I have to. I just cope by looking at the bigger picture of earning cheaper insurance next year." Worse still, it isn't just the programming of the black box itself that implement rules on drivers, the insurance company say, "you must have the box in for the entire policy year; you can’t have it taken out early, or delay the initial fitting for more than two weeks." Despite all these regulations, they don't irritate Millie enough to stop her feeling that the positives of having a black box in her car "definitely" outweigh the slight, if not a bit annoying, negatives. She would recommend having one fitted, "as long as it considerably reduces the cost of your insurance then it is worth it. "If, however, there wasn’t an enormous difference in price (my difference was £250) then the restrictions would put me off having one." That is a huge saving and it's safe to say, black boxes really do make the driver think twice about tearing up the tarmac, in order to limit the damage to your wallet, year after year.